This "live, work, and learn at home" master-planned community is one-of-a-kind. And sold fast! While we are currently sold out of opportunities in Goodnight Ranch, a new phase of homesites and a new model home will be available summer of 2019. 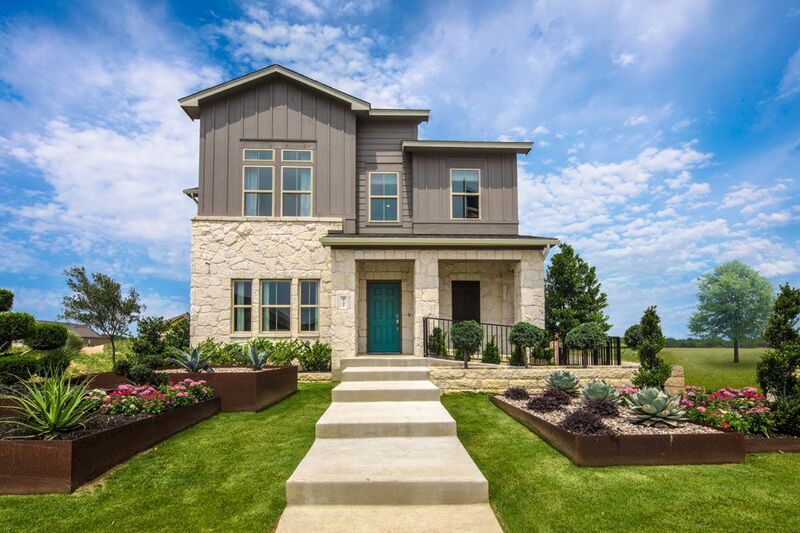 Located in southeast Austin this community was once the family-owned Goodnight Ranch. Today, the family, along with Benchmark Development, is overseeing the plans. The goal of the plan is to foster connectivity and spending time outdoors, while providing a safe place to call "home." Goodnight incorporates the latest urbanist trends into the community. Wider sidewalks lead through tree-lined streets. Hike and bike trails create a walk-friendly environment where a pedestrian tunnel will reduce the need to cross busy streets. Expansive green space and community trails will span 35 acres. It is designed to promote connectivity to nature and neighbors maximizing the community experience. Goodnight Ranch is perfectly located. Being close to major highways makes it convenient to shopping, the airport, higher education campuses, live theater performances, museums, fine arts, recording studios, and all the areas noteworthy locales. Your children will flourish in the award-winning Austin ISD. Blazier Elementary is right across the street from the community. And Paredes Middle and Akins High School are close to home. The only thing better than great schools, are great schools nearby. The University of Texas at Austin provides first class higher education just 10 miles from Goodnight Ranch.